When it comes to your medical care, quality should never be compromised due to a lack of funds or time constraints. 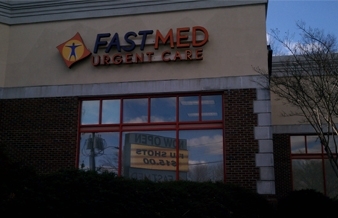 With FastMed Urgent Care, Greensboro, NC, residents are well taken care of. Our staff is constantly striving to be the standard for health care. We work to provide care that is the highest quality, affordable, and convenient. Lengthy waits inside a crowded ER are now a thing of the past. With FastMed right around the corner, you’ve got a great option on your side. Our commitment to quality can be seen throughout your experience with FastMed. We take the time to fully understand your needs and go the extra mile to address your concerns. All of our medical professionals are experienced and passionate about providing urgent care in the Greensboro, NC community. FastMed’s hard work and uncompromised level of service was recognized with The Joint Commission’s Gold Seal of Approval for Accreditation in Ambulatory Care. Acceptance of most major insurance plans, including Tricare, Medicare, Medicaid, and more. Acceptance of most major credit cards, and personal checks. Online bill paying with automatic payments available. Discount program for those who qualify. When it comes to urgent care, Greensboro, NC, is competently covered. Here at FastMed, we offer a variety of on the spot services with compassion and convenience. Give us a call or stop by today to learn more.